See more objects with the tag architects, architecture, study, design, studio, modernism, education, presentation drawing, exterior, Bauhaus, New Objectivity. This is a Print. It was designed by Walter Gropius. It is dated 1929 and we acquired it in 1938. Its medium is photostat with hand additions. It is a part of the Drawings, Prints, and Graphic Design department. Walter Gropius is perhaps best known as founder and director (1919–1928) of the Bauhaus, the German design school that initially aimed to unite arts and crafts, but soon switched its focus to industry and developing a universal modern design language. 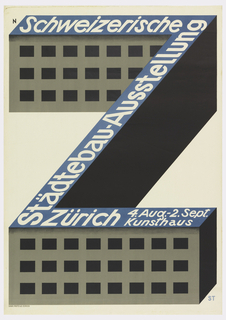 Later Bauhaus designs were geometric, without superfluous ornament, and embraced new materials and technologies, following tenets of rationalism and functionalism. 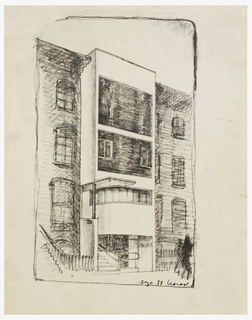 Although Gropius left the Bauhaus in 1928 to open a private practice, he continued to espouse its principles. 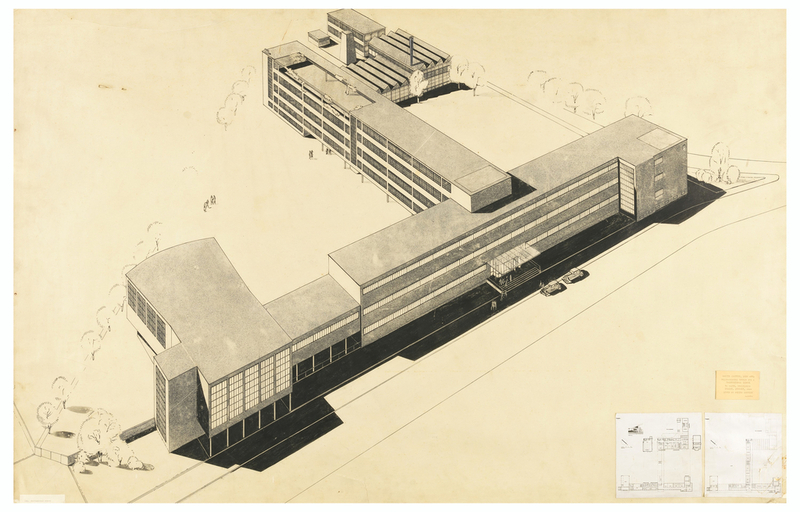 He created this drawing in 1929 as a competition entry for an engineering school in Hagen, Westphalia, Germany. The T-shaped building features the flat roof and facade, long rows of windows, and raised first floor typical of modernist architecture at the time. 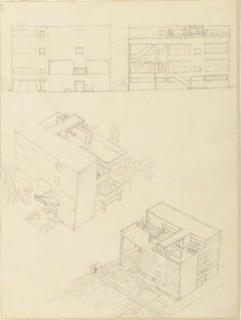 Upon donating this drawing to the museum, Gropius deemed it “a characteristic design.” Hagen had become a place for architectural and artistic experimentation, and Gropius’s second-place finish (the highest award received) shows an interest in modernist forms. With the onset of World War II in Europe, Gropius, like many other Bauhaus teachers and students, emigrated to the US, where he continued to spread the principles of modernism through built work and teaching, influencing new generations of designers. 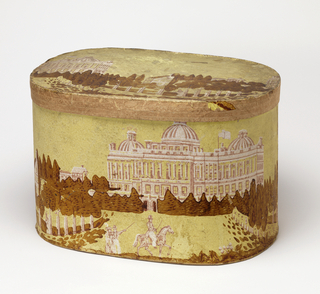 This object was donated by Walter Gropius. 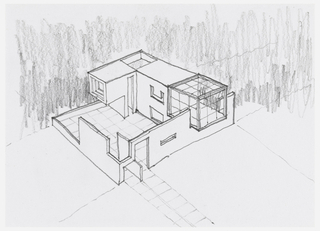 It is credited Gift of Walter Gropius.